Olive & Coco are such a sweet and spunky pair! 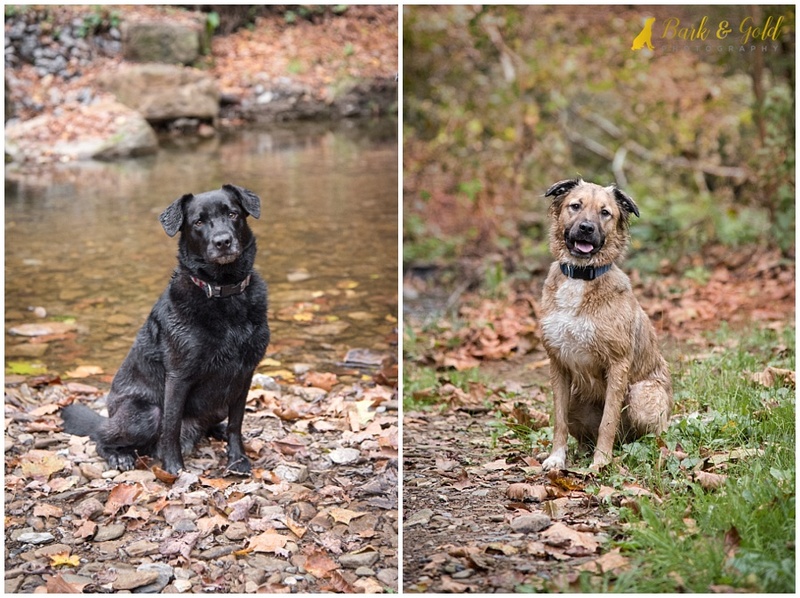 They, along with their parents, recently met me at Brady’s Run Park, one of my absolute favorite places to shoot, for a beautiful autumn session. Courtney describes Olive as the more laidback of the two, but notes that she loves to run and play when she is outside. Coco, on the other hand, is very friendly and outgoing. Courtney says that this pretty girl bounces everywhere she goes! Both had a blast taking a cold dip in the creeks and lake. No kidding–within minutes of arriving at our first spot in the park, these two were drenched!